Such a measure is normally adopted in refuting tax or property rent assessments in 'developed' nation-states but the purpose of this notice of objection, is to formally protest at the infringement of the basic collective human right of a community to measure and assess their own worth, by sharing our concerns - as conscientious citizens - about a population census which could - by stealth - hinder the genuine citizens (former state subjects) of the territories of GB and AJK; to formulate a consensual mechanism (an Ownership-Building Process - OBP), that could assist us in deciding our constitutional future. The implications of the Pakistani state simultaneously - and I would add hastily - conducting a population and property census throughout its own federation and constitutional jurisdiction, while conducting the very same action in territories which do not legally belong to them, gives us a leading impression that Pakistan finally feels compelled enough to change its ambiguous relationship with us, beginning with this census which could unfairly bolster their ability to integrate the territories of GB and AJK into their own federation. This act adds further suspicion to the supposed ‘trust’ that Pakistan has assumed for the past 70 years over the territories that de jure remain parts of the erstwhile Dogra state of J & K (namely GB and AJK). This self-assumed trust has no legal or democratic validity and cannot be extrapolated from any argument, resolution or document in history. Beginning with the Government of India Act 1935, followed by the Indian Independence Act of July 1947, to the UN mechanism under various security council resolutions and followed by a series of bilateral talks between India and Pakistan: nothing provides a cover of legitimacy for the Pakistani state. Not even agreements between India and the areas of J & K under their control or those arrangements that Pakistan has agreed with its own political beneficiaries, in the areas under its control. In other words due process of ascertaining the genuine will of the actual citizens of J & K under Pakistani control has never been adopted. In fact, the only document that could’ve genuinely solidified a balanced relationship between Pakistan and the state of J & K was the standstill agreement signed by both entities on the 15th of August 1947. However, it is now part of the historical record how that agreement was progressively violated in the ensuing months of that era. A similar argument could be made in relation to the 24th of October 1947 declaration made in Junjaal Hill – Palandri, which provides the fundamental basis for the existence of the very administration that this writer is writing to. Meanwhile, the background to this “notice of objection” can be understood through theoretical concepts such as Ownership Building Measures (OBMs) and AJK Public Agency. 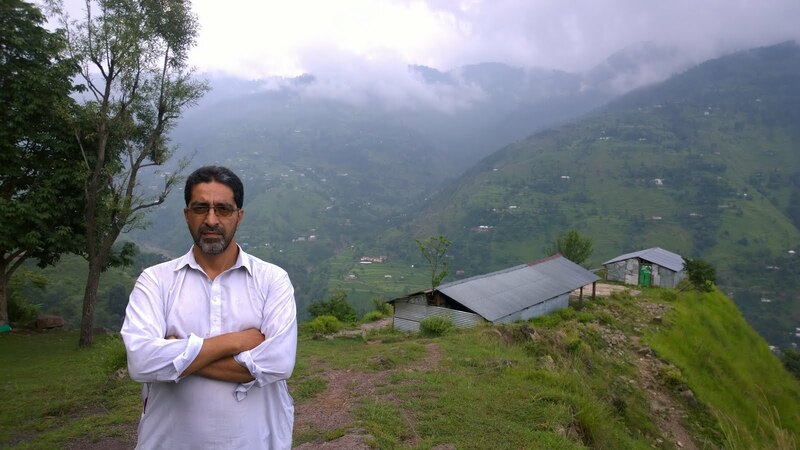 Despite 11 years and 11 months in the making and practiced thoroughly on the ground in AJK – these public initiatives are yet in their infancy. Nevertheless, they have already attracted global academic scrutiny and can be understood through a consistent procedure of public interest activities and notes produced during this period; via video, audio, photo and text samples. At least 500,000 people (a combination of local and global) have engaged or interacted with these samples during this period. Whereas, over 15,000 citizens of this 5,134 square miles of territory referred to as AJK, have also financially contributed to this Ownership-Building-Process (OBP), from throughout its 32 subdivisions and its diaspora. Given the background and rationale of this letter, it should also be understood that an administration having over 90.000 serving possibly less than 4 million people (given that a significant proportion of the citizens of AJK – perhaps as much as one-third are in the diaspora) but not being able to conduct a population census ever in its 70 year history, puts a large question mark over the purpose of its function and viability. That it cannot measure – on its own terms – the quantity and value of human capital and by inference the most precious of its resources, then how are these very citizens going to be equipped to decide their own future? Which, Pakistan incidentally or ironically claims to be the basis of its interference in J & K viz. that it supports their right of self-determination. Finally, it should be made clear that the policy recommendation of conducting our own population and property census (in October 2018) without external involvement, is part of a key set of recommendations to be put to the public via an “AJK Public Opinion Survey Report” which should hopefully be published next month. This letter has been addressed to the AJK Administration for the historical record as well as to form a reference for a debate involving all genuine stakeholders who claim inheritance to this territory. It should also be noted that this writer witnessed a Pakistani army soldier accompanied by a local government employee walk into his residence at Mozaa: Gurutta, without permission at around 11:15 on the morning of the 16th of March. They were immediately but politely escorted out of the residence and it was explained to them that conducting a population census in AJK was a prerogative of the people here. Further, that the Pakistani federation conducting such an activity here in the relatively peaceful abode of AJK and under military management was unacceptable. In the interim period, while this writer was busy engaging opinion in the district courts, about 5-6 unrecognisable people visited his residence in his absence. His mother explained at the gate that he was not available and was the only person able to entertain them, despite which they tried to persist in entering the house. All the above is unacceptable behavior in 2017 as is the fact that most of this letter has been written in darkness, for want of electricity which this territory produces in abundance. Herein, lies another clue to our collective dilemma.